I have been gluten-free for a week already. It totally doesn’t feel like it, which I think is a good thing. 😉 I’ve actually realized that I was eating gluten-free more often than I thought. For example, those homemade chocolate Clif bars I’ve had up on my site for a while are gluten-free, and are one of my favorite snacks. 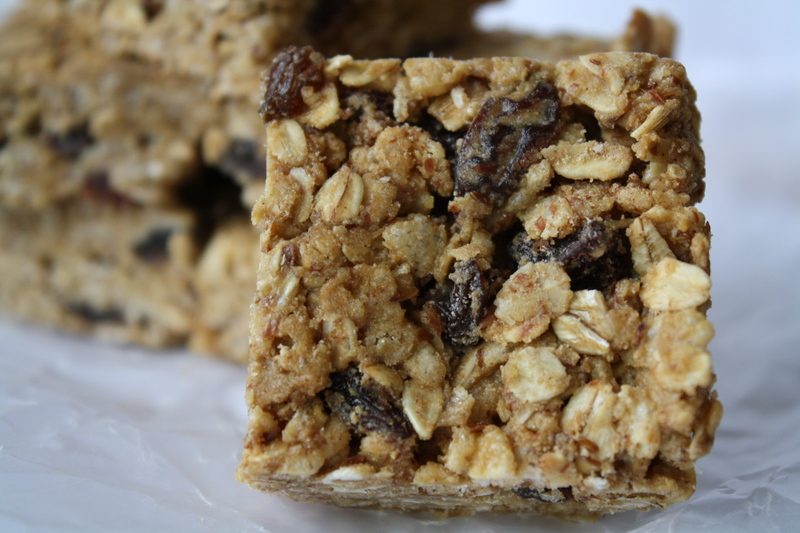 They’re incredibly simple to make, delicious, all natural, and full of protein and fiber. With that in mind, and with all of this free time I now have because of school being done, I decided to try another version of Clif bars: cinnamon raisin. I’ve been wanting to try this version for a while, and boy oh boy am I glad I did. Add vanilla extract to the honey and sunbutter mixture. In a large bowl combine cereal, oats, flaxseed, cinnamon, raisins, and protein powder, if using. This is basically the exact same recipe as the chocolate ones, but I actually think I like it better! I can’t believe I’m saying that, as I’m such a chocolate lover, but these little things taste like cookies. They’re so good! Here is the calorie count, courtesy of SparkPeople.com. This is without the protein powder. I hope that you give them a try and love them as much as I do! Yeah, exactly! 😉 I hope you do give them a try! I hope you all like them! They are a perfect snack! Do you happen to have the calorie count for the cinnamon raisin variety? Hi Emily! I just updated the post and have included the calorie count at the bottom. Thanks for asking! Thanks for doing that! 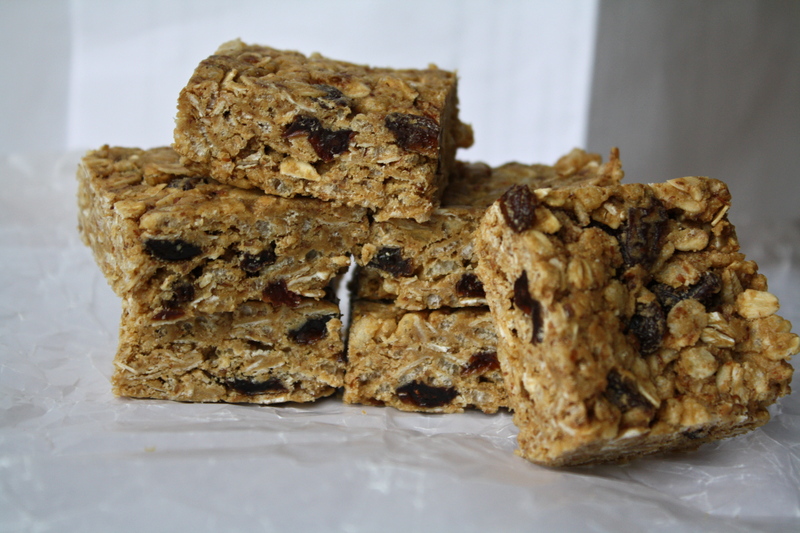 I need to stop by the store to get some flax meal – can’t wait to make these. No problem! I hope you like them! Bought my flax meal and have already made two batches of these clif bars. Thanks again for such a wonderful recipe! Great!! Thanks for letting me know you like them!